First of all, this is different than the LaunchCenter Pro or contact card solutions that are also floating around the web — no need for additional apps or URL schemes here. 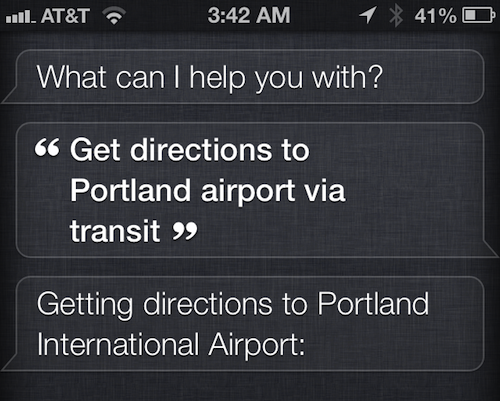 In fact, all you have to do is say the words ‘via transit’ whenever asking Siri for directions. For example, you could say something like this: “I need directions to the airport via transit.” And you’ll notice iOS Maps loads for a brief second, and then defers to Google Maps. 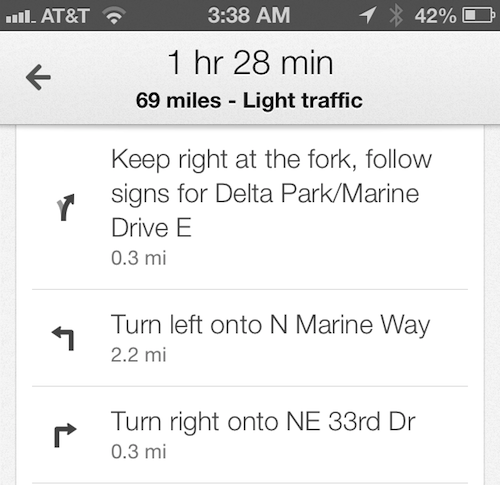 This is because Google Maps plugs into Apple’s Maps to provide transit directions. I personally don’t have a problem with the default Maps app in iOS 6. I’ve been using it for months now without a problem. 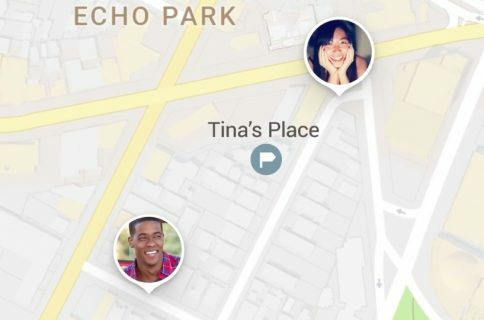 But it’s obvious that the issues with it are very real for a lot of people, so hopefully tricks like this make it easier to use Google’s alternative.